Carbs are king for high intensity rowing. The harder you row – the more you burn. 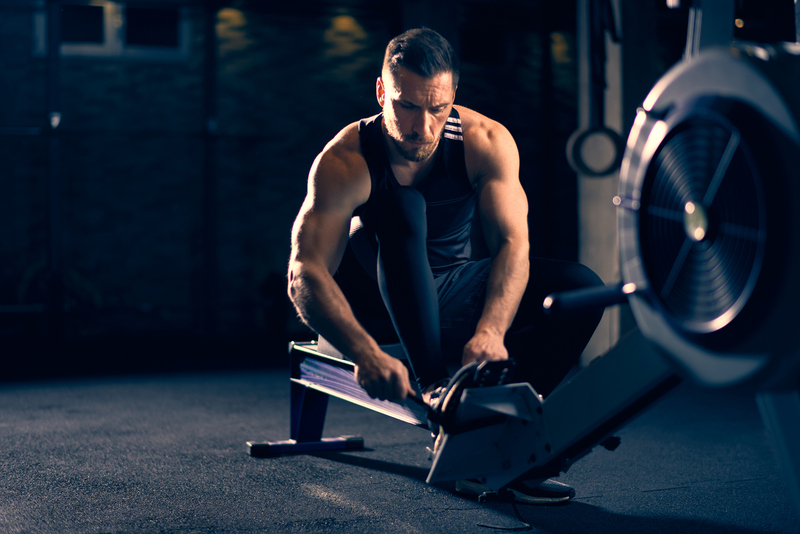 Your muscles consume mainly carbohydrates (stored as glycogen) during a hard 2k erg or rowing race. During an all-out maximum 55 strokes per minute sprint – almost all of your energy comes from carbohydrates. On the other hand – at 50% of VO2max (which is around 69% Max Heart Rate intensity rowing) around 33% of your energy comes from carbohydrate. A high carbo loading diet was (and still is in different guises) a very popular method of improving athletic performance in the 1970s. Especially among marathon runners and cross country skiers. But times have changed and most athletes & rowers are well aware of a good diet and its importance to high performance sport. Most good rowers (including lightweights) consume an excellent diet that has a high proportion of carbohydrates during training and in preparation for 2k racing. Why a High Carbo Diet is Important for Rowing Training and Racing. Say you erg on Monday and pull 3 x 1000 meters all out with 3 minutes easy rowing between work intervals. You go home and decide that you are too tired to eat and decide instead to watch the rowing scenes in ‘The Social Network’ over and over – just for err… kicks? Then on Tuesday you do an early morning, on-water rowing session – 90 minutes at low rating and low intensity. But this time you do eat – before the session you have a coffee and a slice of toast. After the session, because you are in a hurry to get to work you leave the boat house immediately and end up eating nothing until lunch time. At which point you have a great big chicken caesar salad. That evening (right after work) you have another erg session. This time it’s 5 x 5 minutes at Threshold pace. With a 5 minute break between work phases. How do you think you would perform in that erg session? The answer is you would probably suffer hard because you have no fuel to fire your muscles because you’ve eaten very little carbohydrates in the previous 24 hours. In other words you’re glycogen depleted. And doing hard erg or rowing sessions (or 2k races) when you are glycogen depleted is NOT a good place to be. Even over a week, you can slowly get depleted if you don’t keep topping up the fuel you’ve burned. This is even more problematic when it’s racing season and you are doing a lot of high intensity rowing sessions. So the bottom line is when it comes to training – keep topping up. And remember – it’s cumulative (even over 24 hours). 2 Steps to Boosting Recovery Time. After a hard interval rowing session or a long steady endurance session, eating carbohydrates within a short time can improve your recovery time. Aim to eat a carbo rich food with a high Glycemic Index(GI) within 2 hours of the session. During this time, your glycogen reloading ability is sky high so it’s a great head start in boosting your recovery time. If you can have something within 20 minutes of the rowing session it’s even better. And when it comes to competitive team or group situations, this can mean the difference between doing well at the following day’s 2k erg – and doing only average. The first few on that list are obviously healthier options than the last few. But you get the idea. Try to be organised and bring a little snack with you to eat immediately after training. The next thing you need to do in your 2-step recovery eating plan is to eat a meal high in mid – GI Carbohydrates within 2 hours of training. Here are some examples of mid GI foods. Ideally you should be just above race weight 4 – 5 days before your big 2k. You wouldn’t want to be more than 2kg above for a lightweight man and slightly less than that if you are a lightweight woman. But with practice and learning your body’s response to eating carbs and retaining water (1 gram of carbohydrate needs around 3 grams of water for storage) you can also take advantage of high carbohydrate recovery eating. I’ve had considerable results with some experimentation with lightweight rowers I’ve worked with. Many initially came from an old school that said carbs are bad for weight control. We learned to disprove that notion and more importantly we learned to improve the rowers’ performance, health and well-being (feeling of happiness) using a high carbo diet with heavy training and steady weight control near big 2k races. After you have weighed in for your 2k erg competition or 2k rowing race you need to do a few crucial things. Otherwise you could bomb when it comes to your actual race. If you have followed a good pre race lightweight rower sweat down strategy, this is a good play for immediately after weigh in. When you go into the weigh in room you need to bring a drinks bottle with you. 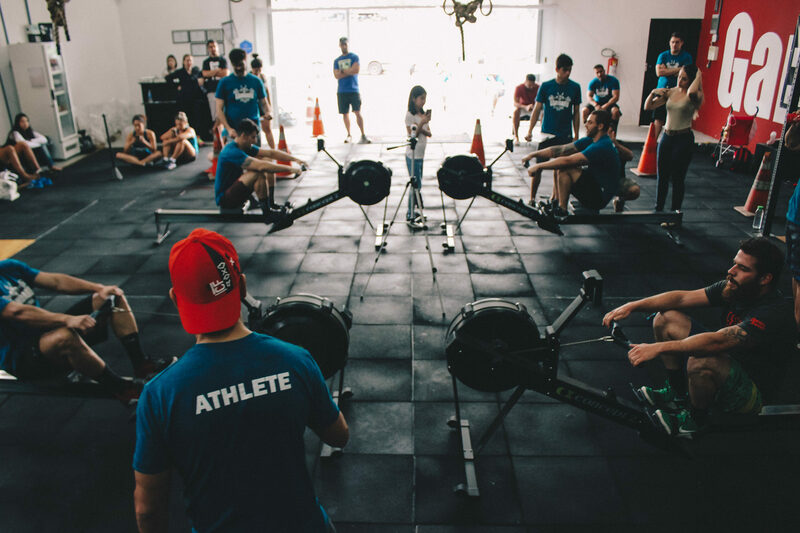 Have it beside you so that the instant you step off the scales and get the all clear that you can row or erg in the lightweight class – start to drink. The worst mistake you can make is to drink too much too soon. Even if you have a good quality sports drink with lots of stuff in it to help you retain the fluids, it will still run through you if you. Remember your stomach can only process a certain amount of fluid per hour. Sip a little – slowly and frequently. 3. Aim to drink it all right up to 5 – 10 minutes before start time. Spread out your drink from the time you weigh in till the time of your race. There’s no point in drinking everything in the first hour post weigh – in. Use as much of the 2 hour window to rehydrate as you can. This will help you to drink and slowly and get maximum rehydration. Temperature. You will need more in warmer conditions. How much you eat. Eating will slow down absorption. The drink you use. Sports drinks are best because they are designed to help you retain the fluids you intake. Water tends to just run through without contributing much by way of hydration. The temperature of your drink. Cold drinks get absorbed but run through quicker. This is not necessairly a good thing. Aim for a drink that is not ice cold. Say you haven’t eaten since the evening before the weigh- in. And you don’t really feel hungry because you’ve been psyched all morning making sure you make the weight. You should still aim to eat something after weigh in. Actually, if you are in good time and are on weight (or slightly below) 10 minutes or so before the weigh in you could have something light (like a rice cake or something). 6. What should I eat – and how much? You can eat anything from breakfast cereal, to bread rolls and nutella, to rice cakes, to bananas, to a honey sandwich to a powerbar. The stuff lightweight rowers eat after weigh-ins is as varied as there are lightweight rowing techniques. (Literally hundreds of different options and opinions) . It really is up to you what you eat (if you eat at all). Maybe you’re not comfortable with eating so close to race time – that’s fine. Or you have eaten already because making weight for the 2k race is not a problem for you. 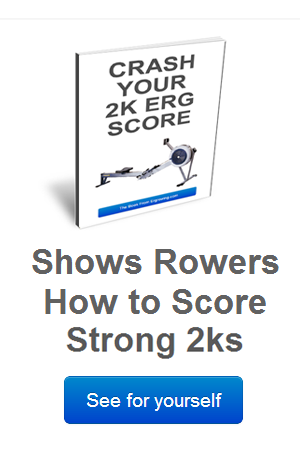 For a newbe – I would suggest you try something out in training before your 2k erg or 2k rowing race. Aim to weigh in just like a lightweight rowing race (except at a different target weight) Pick a hard training day and arrive for training early. Do the ‘weigh – in’ and eat afterwards. Test different foods to find out what you like. And more importantly – to find something that agrees with your digestive system. The last thing you need is to have some rice cake repeating on you, mid-race. The aim is to hold on to almost everything you have ingested pre race. If you need to go pee too often before the race, chances are that you have drank too much or too fast. It you have ever tried to do a 2k erg or rowing race in a dehydrated you will know that it is a brutal experience. And it can also be dangerous. •	Rock solid 2k Erg Rowing Technique. •	A strong middle 1000 meters race pace – sticking with your strategy. •	A hard start and strong finish to the line – playing to your strengths. Above anything else – stick with it. Use all of your mind power and will to hold yourself to the thing that you know works for you. Even if it’s just by the bare strength of a cobweb. Hold on and rely on it. You WILL get there. When you begin to start to feel sorry for yourself and begin to make compromises it’s time to get angry. When you are in the middle of that 2k and you are just about to entertain the thought of compromise –get angry. Quit the bull, quit making the excuses about the hotel room, being awake all night, the rough flight or drive to Boston, not going well in training lately, whatever. Of course they are considerations, but remember that the greatest athletes of all time (including rowers) throughout history have performed no matter what. Some have broken world records having woken up earlier that morning feeling absolutely tired, weak and crap. Some have become Olympic medal winners having admitted afterwards of wanting to stop mid race (I will find the article on this and post it). Use it to motivate you and help you POWER YOUR WAY THROUGH the danger point in the 2k race. Go for it – let out an erg shattering and attacking primeval scream. Believe me it will work wonders for you. Sticking to your 2k erg test and race strategy is paramount. You should aim to stay with it because this is what you have prepared for. But if you need to change in the middle of the 2k erg race, remember you can salvage a lot by thinking about what you can do to minimise your losses. •	You first goal should be to stick to your original 2k race plan. •	If it’s not working – get angry (see above). 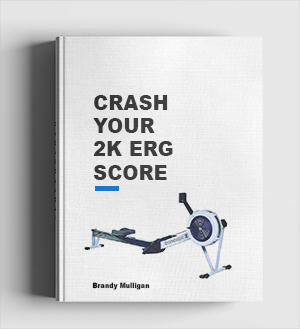 •	Follow the 2k erg test problem solver article and follow it home. Finally Good Luck – All of my positive energy and good will is powered and directed towards you prospering and scoring well in Boston this weekend.